Elizabeth Truss, the Secretary of State for the Environment, Food and Rural Affairs, has confirmed that the coastal path between Hopton on Sea and Sea Palling will be opened up and made available to walkers. The opening is part of plans to establish a national coast path around England. The path will go through Horsey, Winterton-on-Sea, Hemsby, Caister, Great Yarmouth through to Hopton on Sea. The text of the Secretary of State’s report can be found here. “We are delighted with the announcement that a coastal path will be established from Hopton on Sea to Sea Palling. In December 2014 the county’s first stretch of the England Coast Path opened from Weybourne to Sea Palling so in future walkers will be able to walk from the Norfolk border at Hopton on Sea through to Hunstanton with the option from there of connecting to the Peddar’s Way National Trail. “We’re delighted to see progress being made across the country. We’re three big steps closer to opening up the whole of the county’s coastline. New and improved access to the coast will bring huge economic, health and social benefits to communities, as well as providing walkers with a beautiful coastal route to enjoy”. The aim is to establish a national 3,000 mile footpath around the English coast, similar to the coast path opened in Wales. The Ramblers have asked for help in getting support for the project to be completed with further information available at http://www.ramblers.org.uk/news/news/2015/september/new-sections-ofengland-coast-path-announced.aspx. 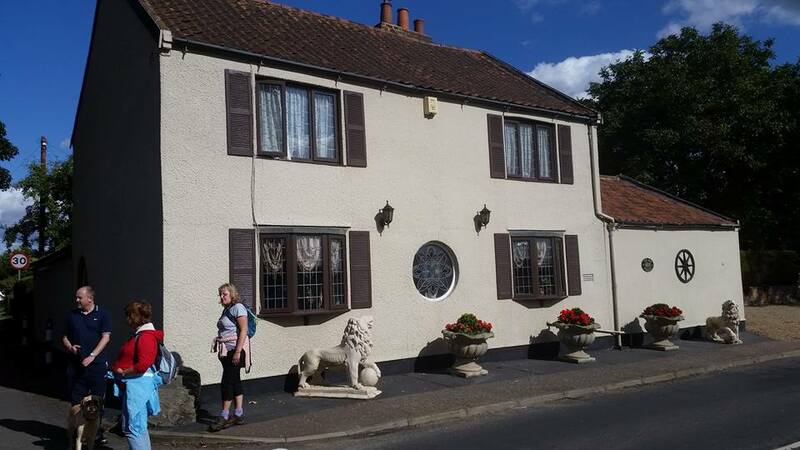 Julian White led a walk for Hike Norfolk from Whitlingham through to the historic village of Kirby Bedon. Hike Norfolk is one of the ten groups in Norfolk Area Ramblers which offer a range of walks across the county, and beyond, every week. For anyone interesting in attending a walk please visit http://www.norfolkra.org.uk/ to see what is available. Alternatively Hike Norfolk have their own group at http://www.hikenorfolk.org.uk/. 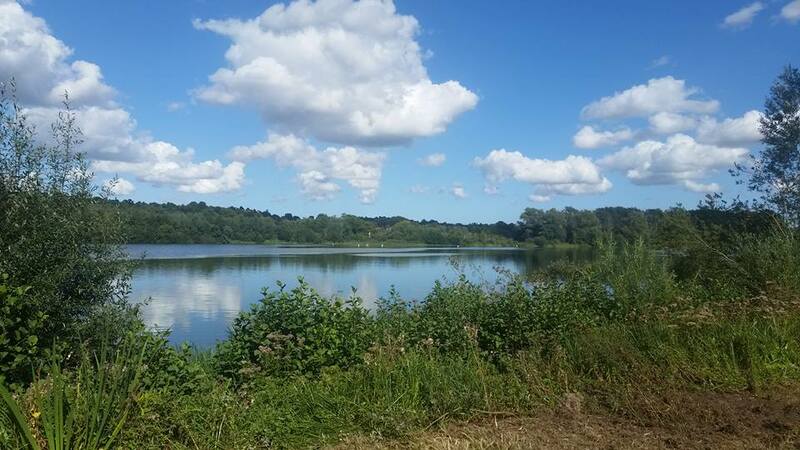 The walk was six miles long and started from Whitlingham before going into Kirby Bedon. The walk goes by the ruins of hidden church of St. Andrew’s at Whitlingham which most walkers would never know were there. The walk also went by the site of an old manor house of which no visible traces remain although the cellars are still present. Outside the old Stracey Arms, the village’s last pub which shut in 1967. The old tower of St. Mary’s Church in Kirby Bedon, situated opposite the current church. 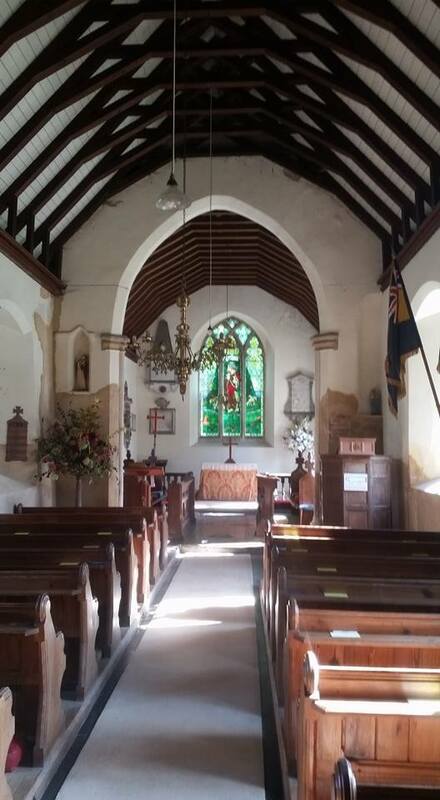 Both churches were once used at the same time although St. Mary’s became disused by around 1700. The shape of the graveyard remains with the nave dating from the twelfth century and the tower from the thirteenth century. Unfortunately access is currently not possible. Over the road is St. Andrew’s, which is still in use as a church. Although originally a Norman church it was heavily rebuilt in the 1880s. 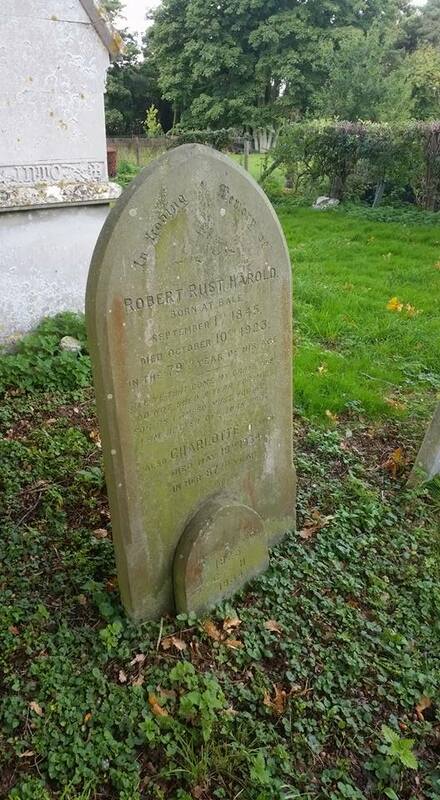 In the graveyard is a small mausoleum which remembers Sir Robert John Harvey. He was once the MP for Thetford and was later elevated to the Peerage. He was a director of the Crown Bank (their prestigious Norwich Head Office became the Post Office and later Anglia TV) but this got into financial difficulties and he shot himself dead. 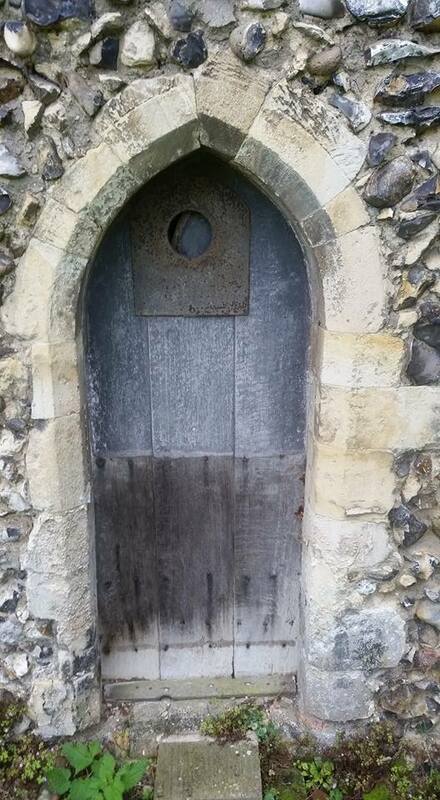 The thirteenth century doorway of St. Andrew’s Church. 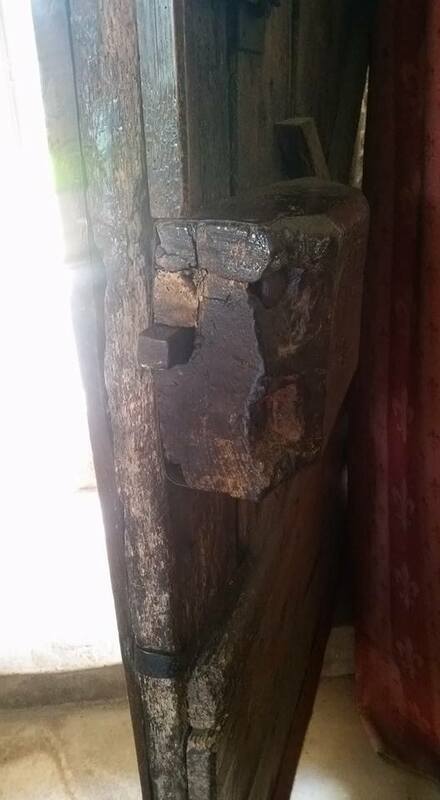 The huge old lock on the main door of St. Andrew’s. Inside St. Andrew’s Church, very peaceful. 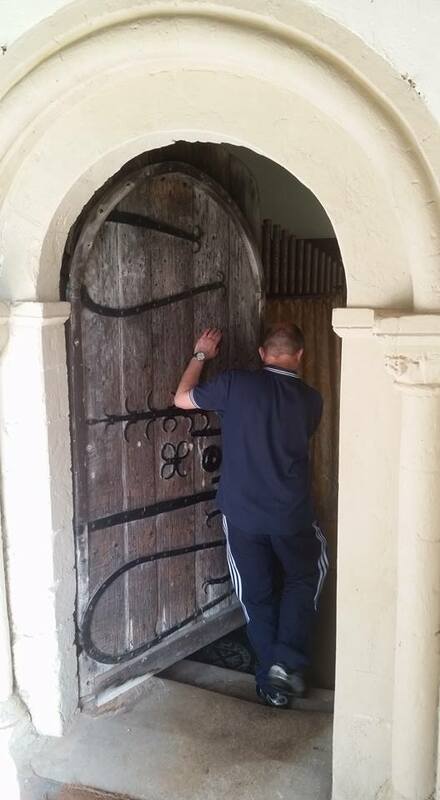 Opening the original twelfth century door. Operated by Norfolk County Council, the Norfolk Walking Festival will take place this year from Saturday 17 October to Sunday 1 November. These two weeks are packed with over 40 walks and talks for all ages and abilities, during which we’ll be showcasing the beautiful countryside, wildlife and heritage in the area around our newest stretch of Norfolk Coast Path (Weybourne to Sea Palling). With topics ranging from the life and death of trees, autumn wildflowers, discovering lost villages…..and of course a beer related walk, there’s something for everyone. We’re very excited to host a stargazing evening with TV Astronomer Mark Thompson and a fascinating illustrated talk on Norfolk’s Deep History Coast with Dr Nick Ashton – the British Museum’s Curator of Palaeolithic and Mesolithic Collections (both events include cheese and wine). There are some special family events too at the weekends and during half-term week, like the ‘Walk, Talk, Create’ theatre walk at Happisburgh, ‘Creepy Caches Halloween Geocache Walk’ at Sea Palling or ‘Horrible Halloween Trail’ at Sheringham Park. Norfolk Ramblers have been getting involved with the new Big Pathwatch project run by the Ramblers nationally. The aim is to get as many people as possible walking paths across England and Wales to build up a picture of the state of the nation’s footpaths. 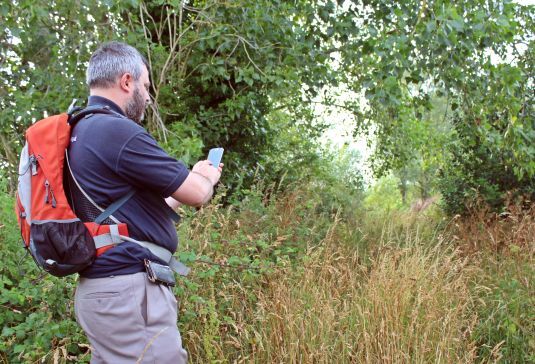 Richard May, a member of Hike Norfolk and a national trustee, has used the app, which is free to download, to check the state of the footpaths in numerous ‘squares’. 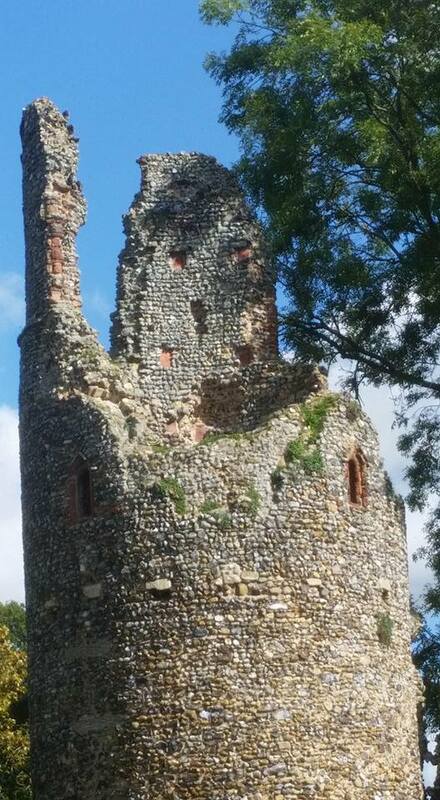 In the above picture Richard was checking a footpath near to Dereham and reporting the results back using the app. 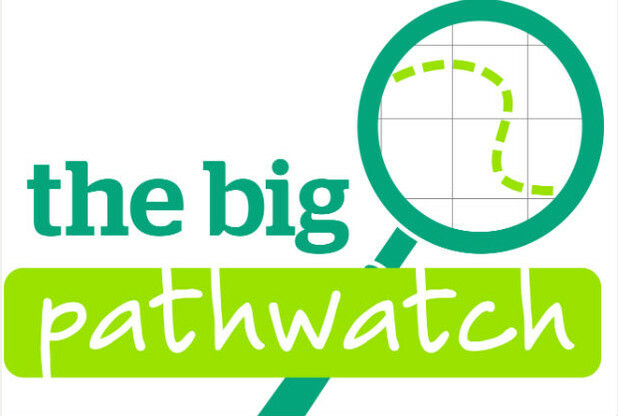 Further information about the Big Pathwatch is available at http://www.ramblers.org.uk/bigpathwatch. Norfolk Area Ramblers is always in need of more volunteers to help with our work and there are lots of ways of becoming involved. There are many ways of helping out and we are *always* glad to hear of any potential offers of assistance and help. We also hope to do some path clearance and boardwalk construction ourselves or offer assistance with helping research rights of way. Please do send us an e-mail if you can help and we can offer suggestions! If you would like a call back then let us know so that we can discuss the options available.